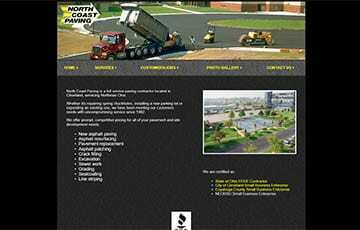 Learn how to find the right type of asphalt paving company in Cleveland or Northeast Ohio to best suit your paving project requirements. 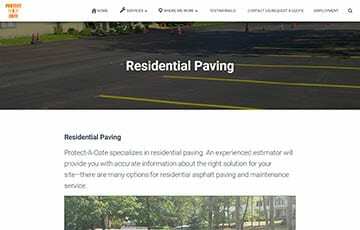 Featured are asphalt & concrete driveway, commercial, residential, road and highway paving contractors and paving companies. 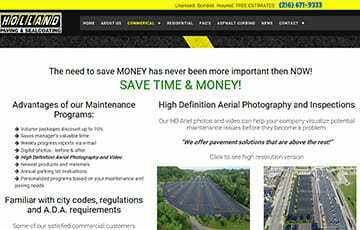 Anyone searching the web for the right asphalt or concrete paving company knows the familiar headache; Google search results return business directories that list companies incapable of fulfilling specific kinds of work, businesses with poor standards paying to appear in your results, or contractors who won't pave for the kind of zoning classification you need. 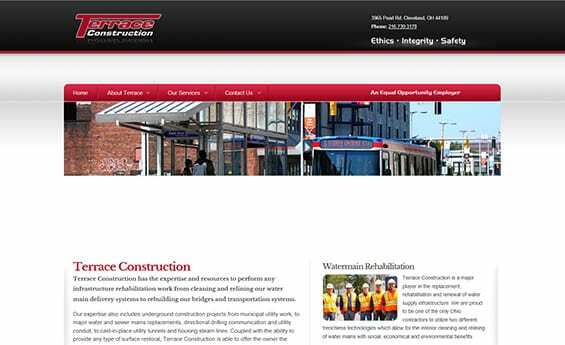 Other times, you find a company website that appears unprofessional, or it's unclear if the company fulfills the kind of work you need accomplished. Each paving company has varying capabilities, and consequently differs in the kind of proposals they consider worthwhile. A paving company specializing in residential projects has much lower overhead, a smaller crew, and usually works with smaller, more nimble equipment that can maneuver the tight spaces in a residential zone. Commercial paving companies have different, more expensive licenses, and will usually charge more for residential paving jobs (if they will do them at all) because of the higher overhead costs to maintain the business. 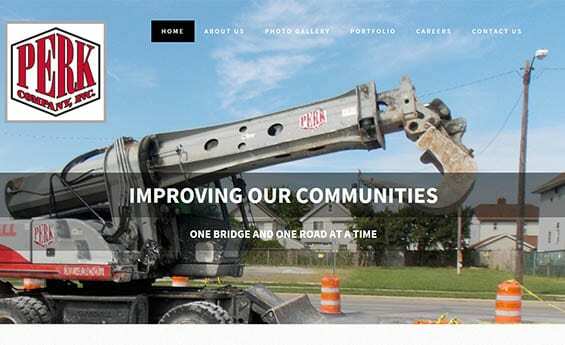 Usually, municipal road and highway paving companies are general construction companies or contractors with a department dedicated to roads and bridges, and have very little overlap with commercial parking lot paving companies. This is because profit margins are very small on public road work, and the potential for liability requires a company large enough to manage these worst-case scenarios. For more details and additional information on the various kinds of paving companies, see below. 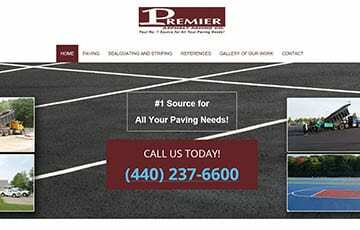 If you're trying to restore or repair your home's asphalt driveway, concrete driveway a privately owned sidewalk, or other yard path pavers, you need a residential paving company. However, even in this category one size does NOT fit all. Some companies offer residential driveway paving, but not sealcoating or line striping. 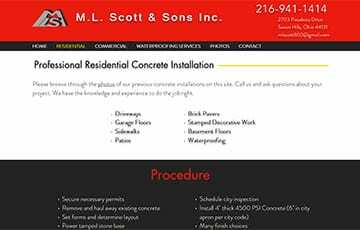 Listed below are trusted residential paving companies in the Cleveland & Northeast Ohio area, along with a brief list of their advertised services offered from their websites. According to HomeAdvisor, the average spend on an residential asphalt replacement or resurfacing was around $4,476.00. The average range was between $2,840.00 and $6,280.00, from a full range of $1,500 to $10,000. According to AngiesList, residential sealcoating costs range from $0.08 to $0.16 per square foot, and tend to be higher in more urban areas. Your paving company will be able to break down prices per square foot for any job they offer. 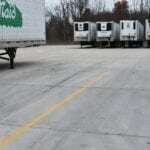 Concrete installation and paving costs are always higher than asphalt. Some shallow potholes can be fixed yourself using cold-mix patching formulas, such as Quikrete or Road Rescue, available at your local hardware store. These quick fixes are the ideal choice for the homeowner who only needs to address a single pothole a few inches in depth, and does not expect to be moving large trucks or equipment over the patch. YouTube has dozens of how-to videos showing how to mix and apply DIY concrete solutions. M.L. Scott & Sons Inc.
Black Top Paving & Sealing Co.
Titan Asphalt & Paving Inc.
Due to the necessity of maintaining a larger crew, owning larger capital requirements to compete, and purchasing expensive, more capable equipment, commercial paving companies generally focus on private roadways and parking lots for commercial properties and avoid or minimize the number of residential projects they take on. 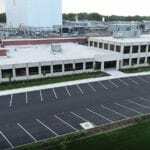 Asphalt and concrete paving costs and pavement maintenance costs vary widely- especially for commercial properties, which can range dramatically in square footage and purpose. 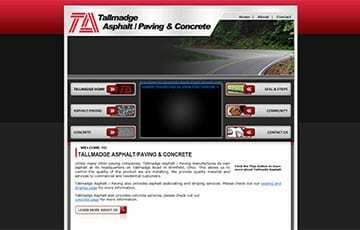 For more information on paving costs, see Ohio Paving & Construction's asphalt paving costs page. 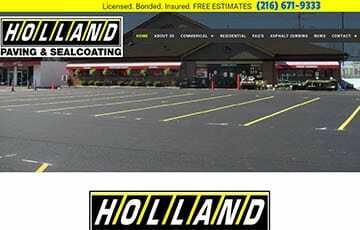 Below are some of the more popular commercial parking lot paving companies in the Cleveland area. 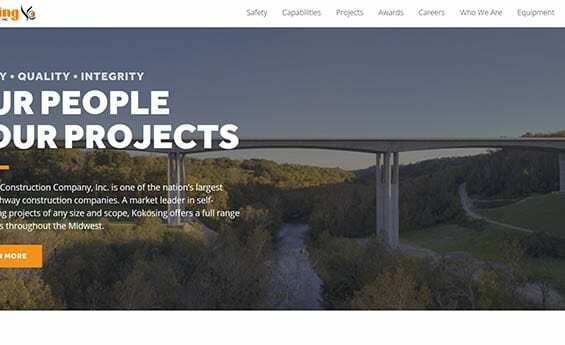 Companies that pave Ohio's roads, highways and bridges tend to be full-scale construction companies. Because the profit margins are so thin for this type of work, only companies that are large enough to eat the price of a mistake and can afford to recover from the potential liabilities choose to enter this industry. According to the Ohio Department of Transportation, the average construction cost for a mile of two-lane highway is x, and the cost for construction a mile of four lane highway is x. This figure does not include costs for ancillary structures such as lighting. For more detailed information, the Midwest Economic Policy Institute put forth national averages for highway construction costs per state. 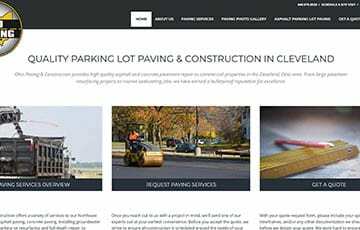 Below are a few of the better-known road and highway paving companies in the Cleveland area. The distance of your project from the company you're looking to contract with will make a significant increase in the price tag. Each piece of equipment, each employee, and each truck carrying hot asphalt costs money in the form of man-hours, gasoline, and the economic tradeoff of not having the equipment and machinery available to accomplish other jobs. It is very important for you to maintain a crystal clear understanding of your needs with any paving company you work with. Especially as a homeowner or business, paving companies will be happy to work around your schedule, but to guarantee your satisfaction, be sure to give your paving company plenty of notice about allowable working hours and desired timeframes.